With Lez Brotherston’s sumptuous costumes and sets, which won an Olivier Award for his original designs, and lighting by Olivier Award-winning Neil Austin, CINDERELLA will be performed in Surround Sound, designed by Paul Groothuis and featuring a specially commissioned recording played by a 60-piece orchestra. 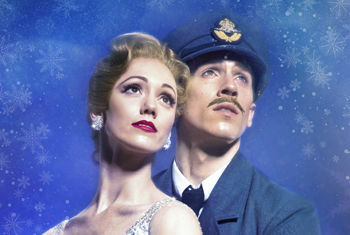 Matthew Bourne’s vivid story telling has never been more heart-stopping and touching, and will take the audience into the heart of Prokofiev’s magnificent score, and the sights and sounds of war-torn London. 2017 marks 20 years since CINDERELLA first premiered in the West End and New Adventures’ 16th consecutive Christmas season at Sadler’s Wells. CINDERELLA concludes a year-long celebration of work to commemorate the 30th Anniversary of New Adventures.